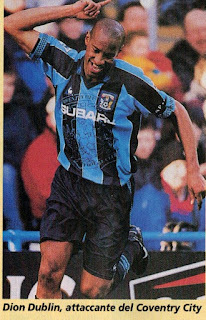 English striker Dion Dublin was signed by Alex Ferguson for Manchester United in the summer of 1992. However, an early season injury ended his season and despite recovering he was unable to break into the team in the following seasons. His transfer to Coventry in 1994 gave him a new lease on life and he rediscovered his scoring touch. The 1997/98 season would be his most successful. He would become joint top goalscorer in the English Premier League and would also earn his first caps for England. He would narrowly miss the Finals cut for the 1998 World Cup. Terry Venables had been tipped as a future England Manager for years. When Graham Taylor was appointed England Manager in 1990, it appeared that the opportunity might have passed him by for good. However, unexpectedly he got the call in 1994. He was tasked to rebuild an England side that had just been eliminated from the 1994 World Cup qualifiers, as well as preparing for the 1996 Euros that were to be hosted in England. 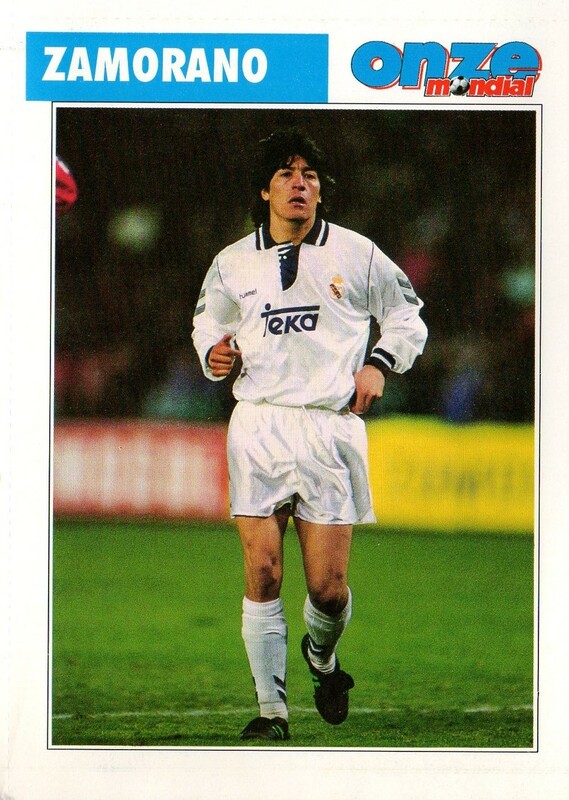 When Jorge Valdano took over as Real Madrid Manager in 1994, he openly wanted to remove Chilean striker Ivan Zamorano after a poor season. In the end, Zamorano remained and gained Valdano’s trust. He regained his scoring form and led Real Madrid to the League title in 1994/95 season by finishing as the League’s Pichichi. 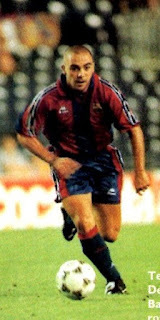 Barcelona midfielder Ivan De La Pena was once tipped as one of Spain’s brightest future prospects and had shone at youth level. However, he stagnated after a transfer to Lazio in 1998 and his loan to Olympique Marseille the next season did not improve his prospects. He rarely played in the following seasons. In 2002, he was released by Lazio and joined Espanyol. He slowly regained his form as he started to get more first team action. The 2004/05 season would be a very good season for him as he led the club to a fifth place finish. He also finally achieved International recognition and gained all of his 5 caps in that calendar year of 2005. Loyal Bordeaux Captain Alain Giresse was regarded on his way down in 1986 (aged 34). Bordeaux prepared to replace him by signing young midfielders Jean-Marc Ferreri and Phillipe Vercruysse. However, instead of winding his career quietly he was enticed away by Bernard Tapie’s new project at Olympqiue Marseille. Tapie, along with former France Manager Michel Hidalgo, were laying down the foundations to create an excellent team in Marseille and Giresse was seen as a much-needed experienced player in the project. 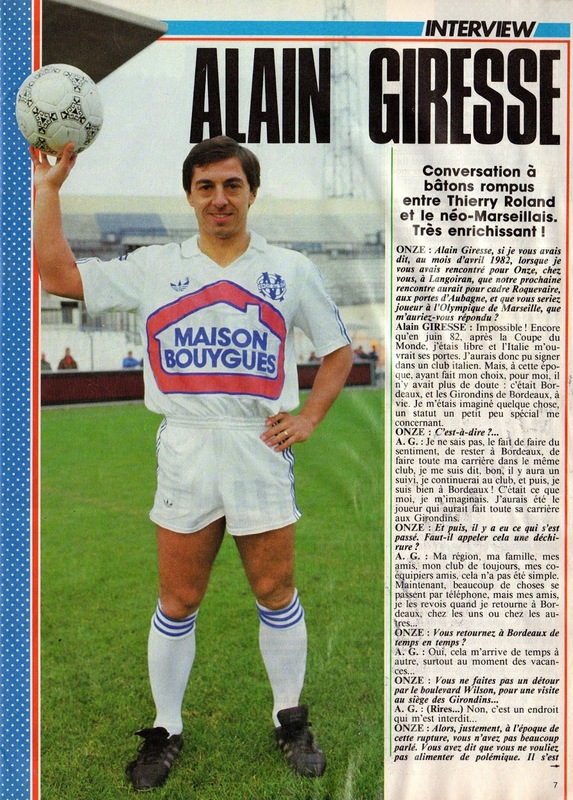 Giresse would have two good seasons before retiring in 1988 aged 36.